Major emerging countries, known as the BRICS group of nations, are close to reaching a consensus on creating a $100 billion foreign currency reserve fund to help ease short-term liquidity pressure and safeguard financial stability, a senior Chinese central bank official said Tuesday. Meanwhile, senior officials Tuesday urged the US to consider the time and pace at which it withdraws its quantitative easing stimulus program to avoid negative impacts on emerging economies. Speaking at a news briefing ahead of the G20 leaders’ summit in Russia next week, Yi Gang, deputy governor of the People’s Bank of China, said leaders of the BRICS group – Brazil, Russia, India, China and South Africa – have agreed on the ratio of contributions, operation mechanisms, governance structure and loan-to-value ratio of a Contingent Reserve Arrangement (CRA). There will be more consensus on the arrangement by BRICS leaders when they meet on the sidelines of the G20 summit to be held in St. Petersburg, Russia on September 5 and 6, Yi said. “We will see the launch of the fund in the foreseeable future,” Yi said. “The fund offers a means to prepare for any negative effect from the volatility in the global financial market and is a supplement to the existing international financial systems such as the IMF and the World Bank. The efficiency and capabilities of these organizations are restrained by their complicated decision-making mechanisms,” Zhao Xijun, a deputy director of the Finance and Securities Research Institute at the Renmin University of China, told the Global Times Tuesday. “The new fund will help ensure the financial stability of the major emerging economies and their stability will benefit the global economy and financial markets,” Zhao said. Yi also revealed at the briefing that China will contribute the “biggest share” to the fund, but not exceeding 50 percent of the total contributions, without giving more details. In March, BRICS leaders signed an agreement to launch the fund with an initial size of $100 billion at the BRICS summit in South Africa. “China is in a better position to play a big role in the new fund because China has the biggest economy among the BRICS nations and has the biggest share and most diverse structure in international trade,” Song Guoliang, a finance professor at the Beijing-based University of International Business and Economics, told the Global Times Tuesday. Meanwhile, officials warned at Tuesday’s news briefing of the sudden change of tone in monetary policy by some developed countries. Signs that the US would soon wind back its monetary easing policy have affected market expectations in some emerging economies, resulting in dramatic outflows of foreign investment from these countries, said Chinese Vice Foreign Minister Li Baodong at the same briefing. Markets are worried that the US Federal Reserve might decide to abandon its monetary easing policy when it meets in mid-September following its June announcement that it may start withdrawing the plan. The US must consider the spill-over effect of its monetary policy, especially the time and pace at which it will scale back its ultra-loose monetary policy, Vice Finance Minister Zhu Guangyao said at the same briefing. 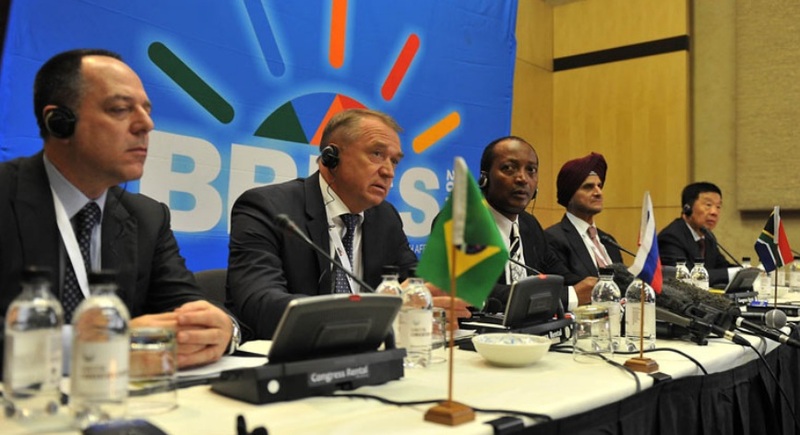 Business leaders from the BRICS (Brazil, Russia, India, China and South Africa) group of countries converged in Johannesburg for the first meeting of the BRICS Business Council. 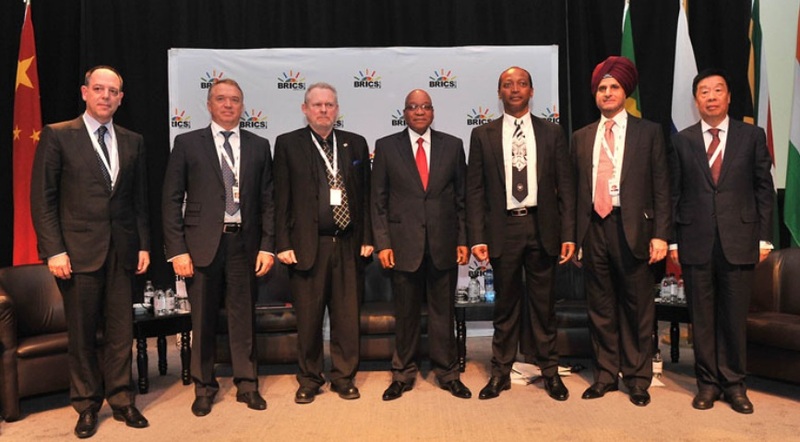 The meeting took place at the Sandton Convention Centre from August 19 to 20, 2013. 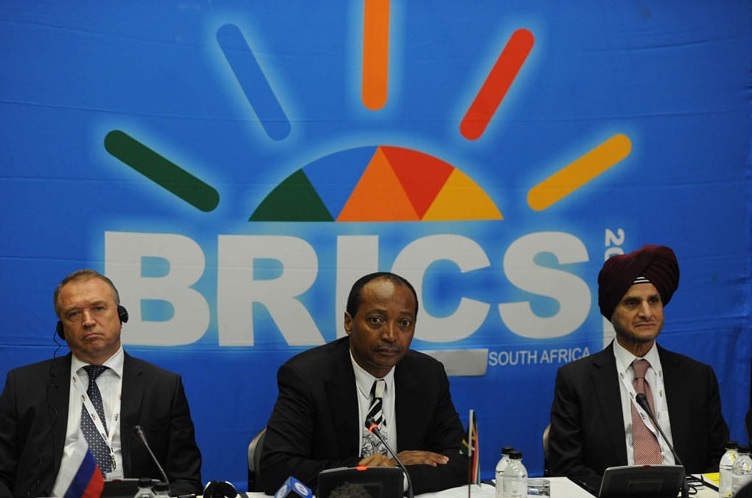 A new powerful institution, the BRICS joint development bank, is set to emerge on the international financial arena – that’s as the 5th annual summit of the world’s fastest emerging economies has kicked off in South Africa. BEIJING — China Development Bank (CDB), the country’s largest policy lender, has invested at least 2.4 billion U.S. dollars in African infrastructure and commercial projects, the bank’s president Zheng Zhijie said Tuesday. The China-Africa Development Fund has financed mineral resources, machinery manufacturing, power generation, agricultural and infrastructure projects in more than 30 African countries, Zheng told a China-Kenya investment forum. The fund, a wholly-owned subsidiary of CDB and an Africa-dedicated fund, was set up in 2007. The projects are estimated to bring at least 10 billion U.S. dollars of Chinese investment to Africa. With stronger bilateral ties, Kenya has become an important partner in east Africa for China, he said. CDB’s outstanding loans to Africa have totaled 18.9 billion U.S. dollars, of which 250 million U.S. dollars have been for infrastructure projects, the financial sector and small businesses in Kenya. Zheng said the bank’s fund has helped spread the use of digital television in Kenya. It is possibly looking to fund hydro-power, thermal-power and development park projects, as well as opening a representative office in Kenya in the future.